As I begin my second year as president of the Frederick Steeplechasers Running Club, I appreciate and admire all of the runners who have been a part of the club for so many years and the members who are just starting and are eager to take on new running goals. This club continues to impress me. It is not only a running club, but it is a club that joins people together through their love of running. Friendships are made and relationships built. Throughout my running career, I have made it a point to surround myself with runners. FSRC is a club for every one of us. 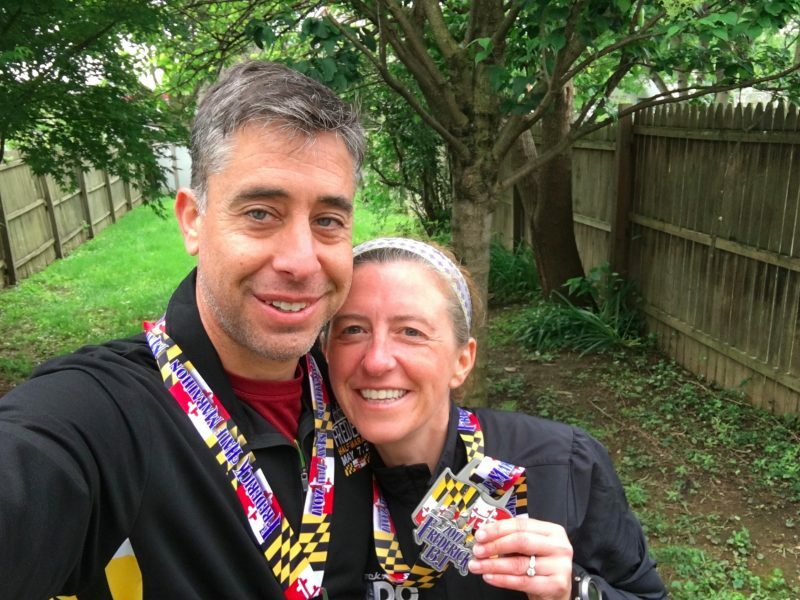 In November, numerous Steeps came out to volunteer at the JFK 50 miler. We, once again, won 1st place aid station! Thanks to Paul Christianson and Harriet Langlois for organizing this station. It was such a fun, inspirational day! On November 1st, we also hosted the general meeting and movie night. Members enjoyed pizza, updates about our club, volunteer appreciation videos and gifts, and the movie Breaking2! We started the new year with the ever so popular Lewis Run! Members came out to race and enjoy some delicious breakfast items. Thanks to Mark Lawrence for organizing such a fun race with unique prizes. The 2017 annual awards banquet was a great success! Thanks to Shannon Matthews and Ruth Taylor for heading the competition committee and ordering and presenting the awards. Syble Roane and Heidi Novak for all their work planning the banquet. The food was delicious and the decorations were beautiful. Finally, Harriet Langlois and Keary Johnson impressed us once again with beautiful, delicious desserts! It was a wonderful night, and I am already looking forward to next year’s event. Along with the banquet, Heidi Novak and Syble Roane are also planning fun happy hours every month! October’s Halloween celebration at Cacique was full of laughter and fun costumes, we had a huge turnout for the ugly sweater December happy hour at Vintage, and February’s trivia night was a great success at the Smoketown Brewing Station! We are also thankful for the fun breakfast runs organized by Karen Ochs. Steeps opening up their homes to host breakfast runs is much appreciated! The Summer Solstice 8k team has been meeting to plan and prepare for this summer’s race which will be held on June 23rd. We truly appreciate all of the hard work done by this team and feel fortunate to have Alex Young who has taken on the role as race director. We had a strong turnout for the Club Challenge 10 miler. Thirty-nine members represented the club. Although rainy and cold, we had numerous runners hit personal records. Well done. Super proud of our runners. On the community front, Lou King presented the RRCA Runner Friendly Community plaque at the Mayor and Board of Alderman meeting on March 1st. The plaque sits proudly in City Hall! Our youth are running! Trevor James coached our Spires youth running program during their first season and is gearing up for the spring season. Josh Henson continued to coach the Lincoln Panthers through their fall season, and the spring season will begin March 20th! We appreciate all of the volunteer work for our youth. These two coaches and their volunteers are helping motivate our youth and preparing them to be lifelong runners! We are excited to announce that we will be having a trail series this year. Nicole Davis and the trail runners have scheduled races for this competition! We hope to have many Steeps participate. Finally, our half marathon training program is off to a great start. Heidi Novak and Crystal Tressler, along with guidance and support from Billy Clem and Nicole Davis, have stepped up to coach this season. We appreciate the time and commitment coaching takes. Our runners truly appreciate all you do for the club! 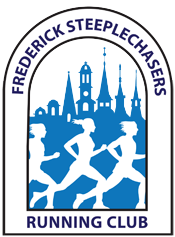 I hope to see many of you out on the trails and the streets of Frederick! Keep running and be safe.